Fargo, ND – “Taboo: Fargo-Moorhead” was the subject of an exhibit opening May 9, 2013 at the Hjemkomst Center in Moorhead, Minn., and Bonanzaville in West Fargo, N.D. The exhibit is a project of the 2013 spring semester Museum Studies class at NDSU taught by Dr. Angela Smith. 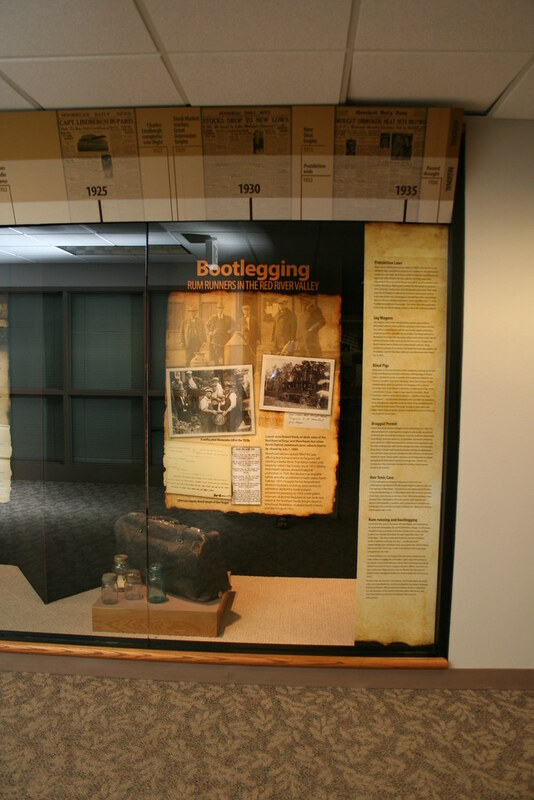 The unmentioned stories in the history of Cass and Clay counties are the focus of the exhibit, which explores prostitution, bootlegging, divorce, the Ku Klux Klan, and varied crimes in the area from the years 1871 to 1935. This entry was posted on Sunday, October 27th, 2013 at 4:41 am and is filed under Exhibits, Projects/Grants. You can follow any responses to this entry through the RSS 2.0 feed. You can leave a response, or trackback from your own site.